Today on Kotaku Splitscreen, we’re joined by managing editor Riley MacLeod to talk Dishonored 2, Hitman, and Watch Dogs 2. 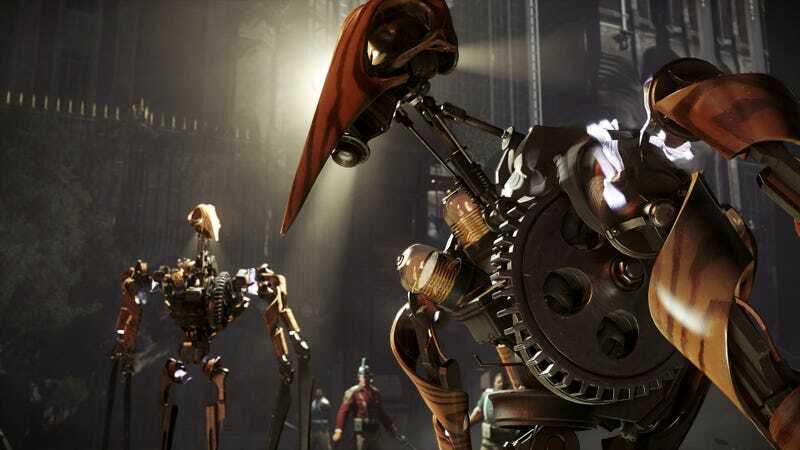 The second Dishonored game feels like more Dishonored, and who can complain about that? Join us for a chat about what the latest Arkane game is like and how it compares to one of this year’s other big stealth games, Hitman. Kirk also gives us a deep dive into Watch Dogs 2 and we take a few reader questions. You can listen to this week’s episode on iTunes or Google Play. Or find it on Simplecast here. (MP3 download here.) You can reach us at splitscreen@kotaku.com.